At the program's heyday, 90 percent of sixth-graders spent the week testing water samples, studying fungi and digging through topsoil. Today, just half of Oregon's 11- and 12-year-olds take part, mostly through a patchwork of grants, fundraising, parent fees and charitable donations. Caps on property taxes, plus the recent recession, have forced many school districts to scrap the program or whittle it down to just a few days. Now, backers of a statewide ballot measure want to use a slice of lottery proceeds to guarantee a week of Outdoor School for all children. 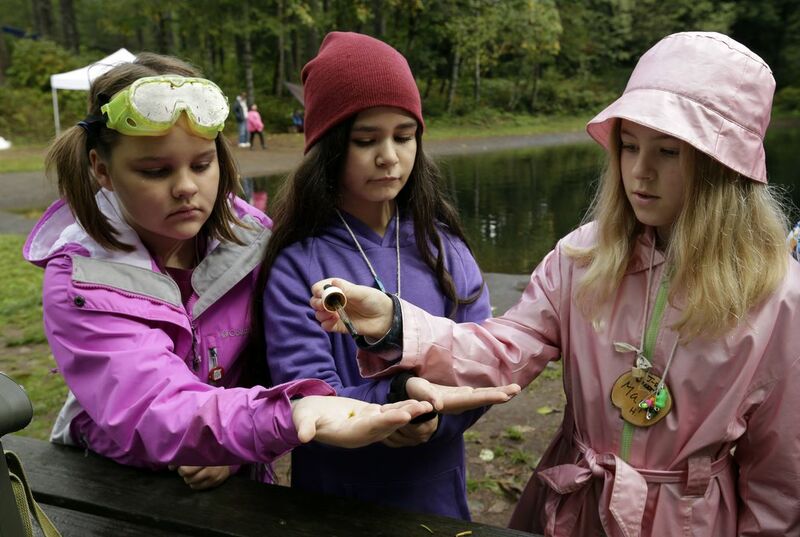 If it passes, the measure would make Oregon the only state with dedicated funding for outdoor education, including students in charter, private and home schools, said Sarah Bodor, policy director for the North American Association for Environmental Education. Opponents, however, say its passage would mean deep cuts to a state agency tasked with economic development by siphoning away millions in lottery money critical to expanding Oregon business. And at least one outspoken state lawmaker worries Measure 99 would impose liberal Portland's values on children in rural Oregon where farming, mining, logging and fishing are a way of life. The push to fund Outdoor School dovetails with a national trend toward outdoor learning, Bodor said. More than two dozen states have developed environmental literacy plans as educators realize the importance of outdoor time for developing critical thinking and leadership skills, she said. 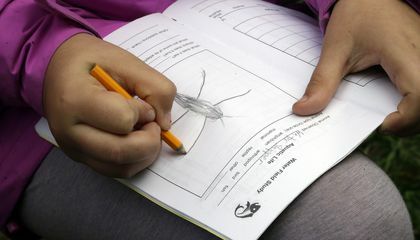 Measure 99 would cover that unfunded cost by taking up to $22 million - or 4 percent a quarter - from the state lottery's economic development fund to send 50,000 fifth- or sixth-graders to Outdoor School each year. The Oregon State University Extension Service would dole out the money to school districts using a process that will be determined if the measure passes. Applying for the lottery funds would be voluntary, and schools, educational districts and nonprofits that already run Outdoor Schools around the state could continue to do so. To get the state funding, programs would have to meet certain criteria, including a curriculum that includes the study of plants, animals, soil and water; discussion of the role of natural resources in the state economy; and lessons on the relationship between economic growth, natural resources and conservation. "This is not a mandate - it's an offer. And we wanted to make sure it was a real one, which means providing sufficient funding to cover the cost of a good, high-quality program," said Rex Burkholder, chairman of the Measure 99 campaign committee. With two weeks to go before the election, Measure 99 has no organized opposition, and polls indicate it will pass - but not everyone is buying it. State Sen. Betsy Johnson, a Democrat who represents a rural district northwest of Portland, says lottery proceeds are for economic development, not camp. She worries Oregonians who remember their own Outdoor School experience will vote for the measure out of nostalgia without understanding it could hurt other programs. Supporters point to a Portland State University study that found students who participated in Outdoor School had improved attendance. They also highlight surveys by the Multnomah Education Service District, which provides 7,000 students a year with Outdoor School, that show the program boosts self-confidence and interest in math and science. As a light drizzle fell, they dipped nets into a fog-cloaked pond surrounded by stands of Douglas fir trees, sketched water bugs in notebooks and tested the water's acidity and turbidity as rainbow trout jumped just a few feet away. Each child wore a "wood cookie" - a cross-section of a small log - emblazoned with their name and cabin assignment and decorated with beaded pins to denote their completion of field studies on plants, animals, soil and water. "It's definitely better out here," said 11-year-old Maya Herring, showing off her wood cookie festooned with beads and bling awarded by her counselor. "You can actually feel the nature. It's not just saying, 'This is what this fern looks like.' You can actually feel the fern for yourself." The trends began more than a half a century ago. Since a lot of jobs in Oregon and their economy are built around natural resources, it gives kids a head start in what they could possibly do when they get older. It's extremely informative for their youth. I think that we should in elementary school. It would be good to get the kids out there to learn about nature. Once they hit middle and high school, I think that they should be getting prepared for college, which is not outside. Well, maybe not getting ready for college in middle school, but high school definitely. There is a trend for outdoor learning because it boosts the confidence of children and they can get outside to breathe fresh air. Instead of being in a stuffy classroom with one teacher that can't help all the student that need help because they have 40 students to teach and help. I think they should always let the kids go on these trips so they can learn all about nature. Plus they can learn all about what grows where they live. I think that kids should have to get an outdoor education, because when you learn in a classroom, it can get boring. If I could learn outside for a week, I think I would learn a lot, and I would also enjoy it. I say that kids should have a outdoor education because if they are going on a hike one day and they get lost they will need to survive some how. I think that no they shouldn't get an outdoor learning experience because some places in the world there are dangerous animals and bugs. Also some kids have bad allergies and they can get sick. Then the kids with allergies won't go, or take medication! And really, is a cougar or bear going to approach a huge group of loud children and adults? And dangerous bugs? A little kid would scream if they saw a spider. I think outdoor learning is important because it can cause children to care about the Earth and the nature, and encourage them to take a part in saving the natural wonders of the world that are in danger of being lost.